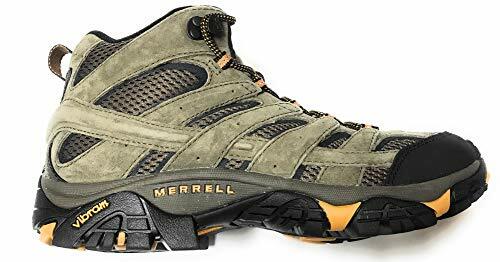 You’re ready to hit the dirt and experience the open landscape from the ground, and you want to try the best budget hiking boots your money can get you. You need a pair of sturdy boots with stability, weather proofing, and ankle coverage to keep your feet protected. 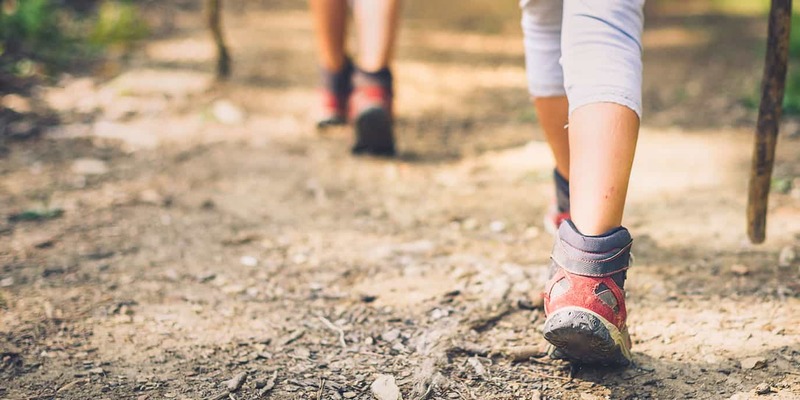 If you’re not ready to sink money into top-of-the-line hiking boots just yet, but you want to hit the trail with comfortable and sturdy shoes, you can find some quality footwear on a budget. These wallet-friendly boots allow you to familiarize yourself with the terrain while staying dry and supported. After trying these, you may even find it’s not necessary to upgrade to more expensive pairs. Achy feet should be the last thing to slow you down on the open trail. The Merrell MOAB (aka, mother-of-all-boots) collection is known for its long-term dependability on unpredictable terrain. The grippy Vibram outsole, air-cushioned heel, and wraparound stability band let you move with a confident step. The boots give you wiggle room where you need it in the toe box and snug support in the heel and instep. The closed-cell foam tongue and breathable mesh lining give slog and sog the boot (pun intended!). 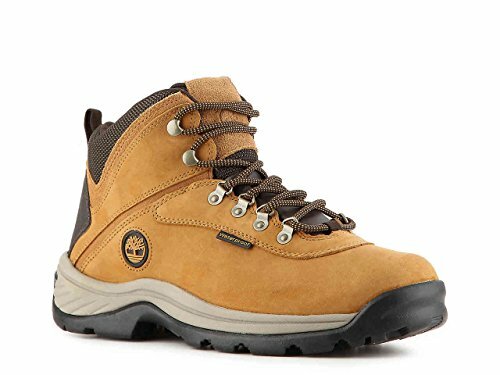 Move sideways down hills and pass right by protruding tree roots and boulders with the protective rugged outsole and rubber toe cap. 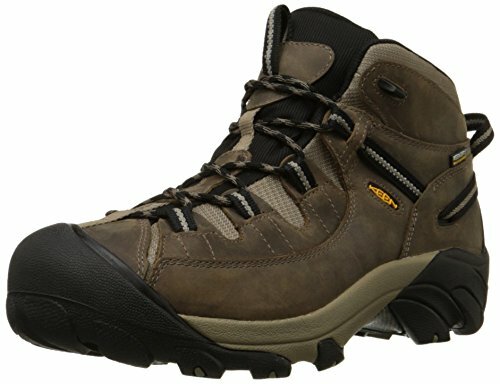 This pair is perfect for those who want a lightweight hiking boot to match their endurance level. The mood of your entire day changes when you feel that slow seep of water into your hiking socks. This mid-rise boot has a fully seam-sealed leather construction to keep your mood and step even in any condition. Motion efficiency technology supports your feet during the braking, bending, pushing or balancing process by centering the pressure. Rubber lugs along the pressure pathway give you sure-footed traction while cushioning absorbs the impact so you can stay out longer. The padded collar and gusseted tongue provide thoughtful finishing touches. Attention winter hikers: this budget-friendly boot extends hiking season well into the cold temperatures with the same fit and performance of the ever-popular Targhee footwear. The waterproof leather, higher rise, and winterized traction allow you to traipse over fresh powder, icy creek beds, and slush like you’re in four-wheel drive. Breathable insulation layers keep your feet warm up to -25°F/-32°C without overheating. Inside, the footbed cradles your appendages with proper arch support, contoured heels, and compression-molded EVA. You won’t want to stay inside when you can be this comfortable and warm in the arctic air. 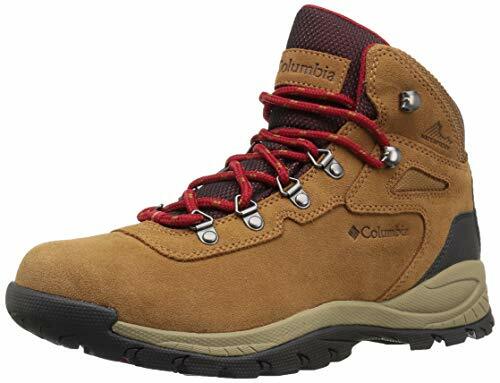 The most prominent features of this budget hiking boot are its waterproof, seam-sealed construction and Techlite cushioning. The cushioning absorbs impact from intense footfalls and offers responsive energy transfer over varying terrain. Omni-Grip rubber gives you grippy control on hills, gravel, and wet rocks while the breathable mesh upper keeps sweat from getting trapped inside. These lightweight hikers show you just how far classic mountaineering boots have come to give you the most comfort and control en route. These 3rd generation hiking boots offer the stability and protection of a classic boot with the athletic performance of a trail runner. The gender-specific construction works with your natural foot shape and flexibility in a way that unisex hiking boots can’t. If you anticipate plenty of hills on your next adventure hike, these hiking boots are specifically designed to manage tough descents. You get ankle support with the mid-rise design and dependable traction with the Contragrip outsole. When you turn the boot over, you’ll notice that deep off-roading tread right away, which gives you a stable foothold. Salomon’s Sensifit construction zig-zags across the top of your foot to lock it in place. The quick laces follow that same pattern to give you a customizable fit. Waterproof materials, PU coated leather, and breathable features keep your feet dry from both sides. When you’re just starting out, you might not want to throw all your money at your new sport until you’re better acquainted with brands, terrain, and other factors that might impact your buying decision. It’s great to have reliable budget options that you can test the trails in before you go all-in. The principle “you get what you pay for” applies here. 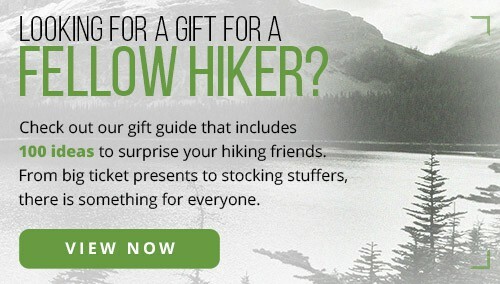 All of the options mentioned here are much better options for beginning hikers than an under-$50 pair at your local big-box store. 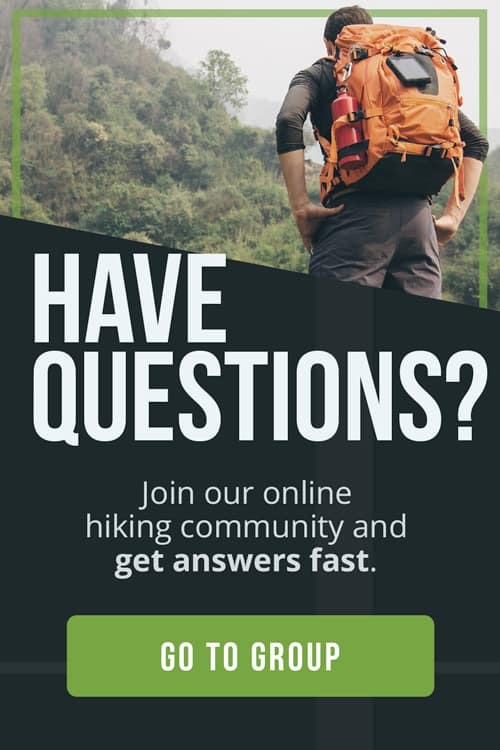 If you know you’re mostly going to be hiking on local trails, your choice in hiking boot will be radically different than if you were hiking in remote mountains. 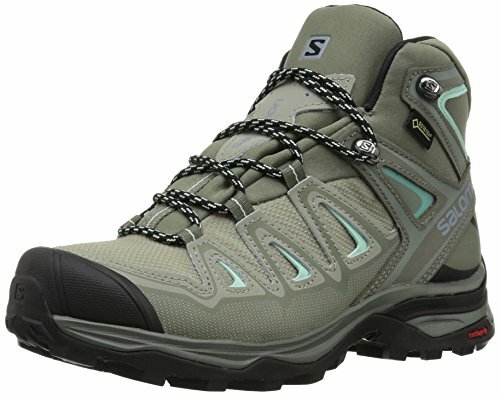 Budget hiking boots are a much more sensible option for the first scenario, especially for shorter trips, and they’re probably not a great choice for rugged mountaineering. Either way, some boots are better for well-kept trails than rugged runs through the woods or hilly paths than flat, even terrain, so it’s important to consider where you’ll be using the boots the most before making your final purchase. Each manufacturer uses a slightly different sizing method, which means a size 8 in one brand might fit more like a 9 in another, so it’s important to know how to pick the right size. Too tight and they might rub against your tender feet until blisters form; too wide and you might lose your stability due to slippage. Do a little snooping to find out if your desired brand runs a little small or wide, so you can find the best fit. Temperatures and precipitation impact your feet as much as any other part of your body. 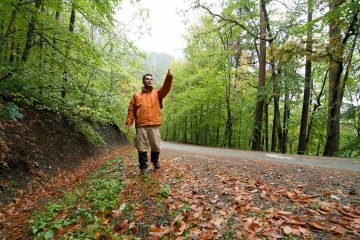 You need to take outdoor conditions into consideration before choosing a pair of hiking boots. If you like to hike in the winter, you might want boots rated for freezing temperatures. If you’re headed into the wet jungle, you need a different kind of footwear, likely with ventilation and lightweight material. 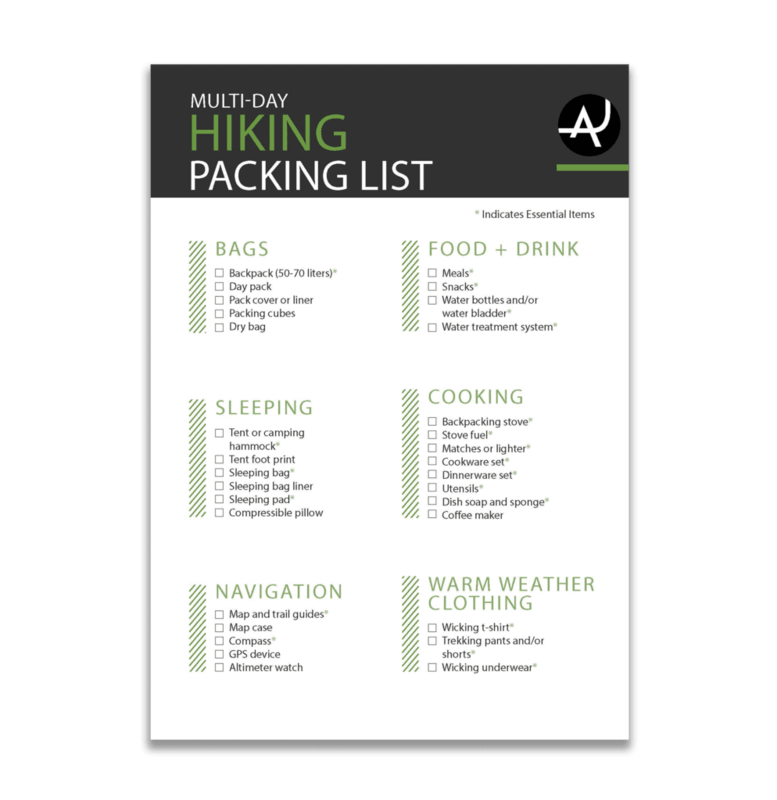 Hiking boots are usually designated as low, mid, or high cut, depending on how much of the ankle they cover. 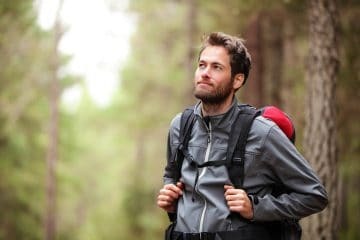 If you’re prone to sprains, at a lower fitness level, hiking on rough terrain, or just starting out, you might appreciate the extra support of a higher rise. Lower cuts might be more appropriate for established hikers and flatter routes where the extra ankle support isn’t necessary. The area of the shoe that covers the toes; should be roomy enough to wiggle your toes. The outer layer on the bottom of the shoe, which makes contact with the ground. The inside part of the shoe that supports the bottom of your foot, aka the footbed. The inside part of the shoe that goes over the top of the foot. A treatment that seals the stitch holes on sewn material to make them waterproof. A thick rubber boot sole with indentations, similar to tire tread, which improves traction. Stands for ethylene-vinyl acetate material, which offers padding and shock absorption. Raised heel area that reduces slippage and makes it easier to come to a stop. 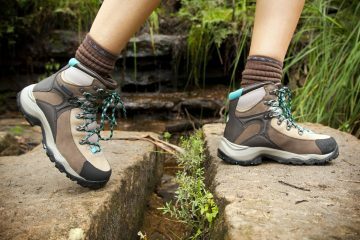 If you want to learn more about these features, check out the Anatomy of a Hiking Boot. 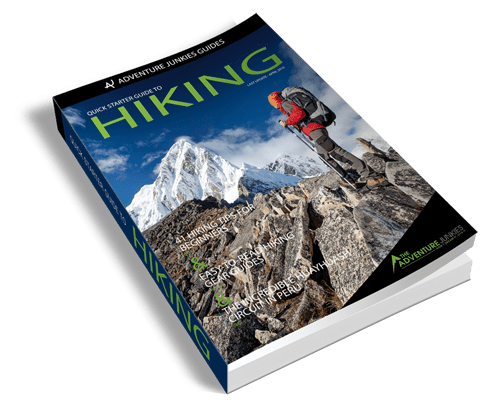 This resource offers useful information on the features mentioned above and more detail on the different parts of a hiking boot. Jessica Collins is a barefoot health and fitness writer and nature enthusiast who lives in rural Wisconsin with her husband and two kids. She's always scouting local hiking trails to go hiking and forest bathing on and streams for kayaking. She's also a certified personal trainer and teaches weekly fitness classes. You can find more of her fitness and forest bathing content on FlashFit Trainer (https://flashfittrainer.com/) and Forest Bathing Central (https://www.forestbathingcentral.com/).